Frontline Spot-On is used for the treatment and prevention of flea and tick infestations in dogs and cats. Frontline Spot On also controls infestations with biting lice on dogs and cats. For the most up to date product information, please check the VMD Product Information Database. 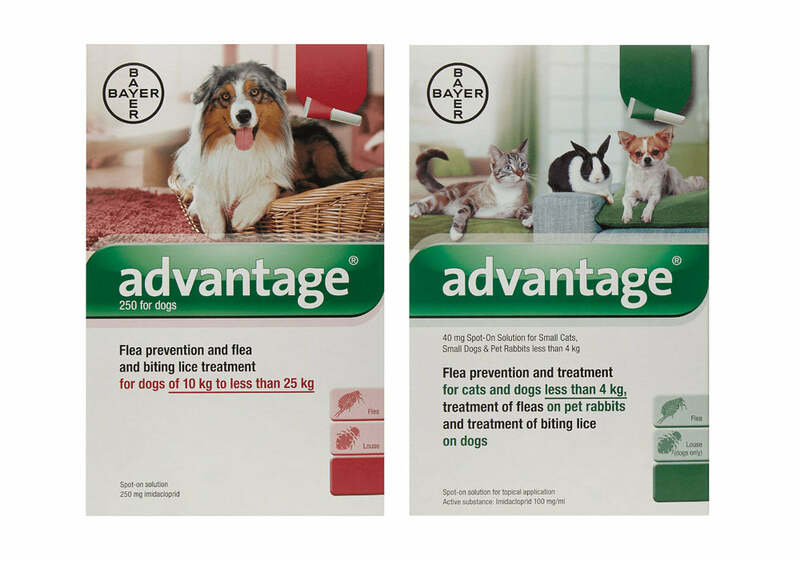 Advantage Spot-On is used for the treatment and prevention of flea infestations in dogs and cats, and for the treatment of biting lice on dogs. Fleas are killed within one day following treatment. For the most up to date product information, please check the VMD Product Information Database. 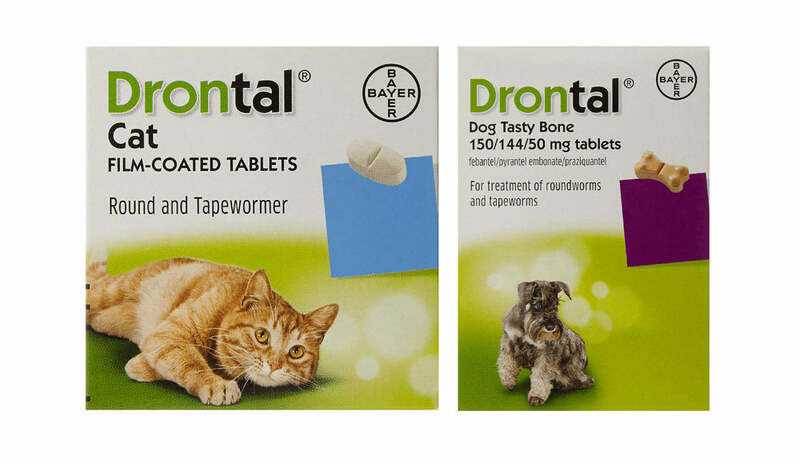 Drontal is a broad-spectrum cat and dog wormer used to control all intestinal worms in the UK, including roundworm and tapeworm. Roundworms and tapeworms are parasites that live in the gut and, if left untreated, may cause your pet to become unwell. For the most up to date product information, please check the VMD Product Information Database. Dronspot - supplied by the same manufacturers as our regular Drontal tablets, but now in an easy to administer spot-on formula! Dronspot kills every type of intestinal worm commonly found in UK cats: the roundworms Toxocara cati and Toxascaris leonina, and the tapeworms Dipylidium caninum and Taenia taeniaeformis. Roundworms and tapeworms are parasites that live in the gut and, if left untreated, may cause your pet to become unwell. For the most up to date product information, please check the VMD Product Information Database. NaturesMenu Cat Pouches contain 96% tasty human grade meats with added superfoods including cranberries, raspberries, green tea extract and spirulina. They are complete and nutritionally balanced as as being grain-free. 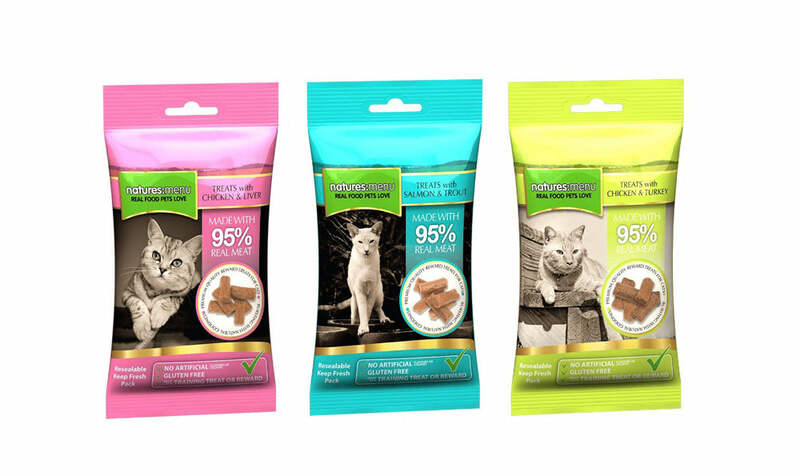 NaturesMenu treats are natural treats made from 95% real meat especially designed for your cat. They are free from wheat, gluten, colours, flavours and preservatives. Available in three delicious flavours; Chicken & Turkey, Chicken with Liver and Salmon with Trout. 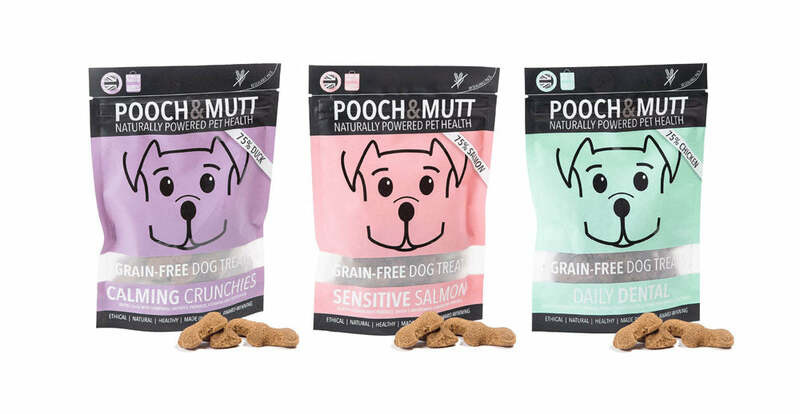 Pooch & Mutt treats are natural, ethical and delicious. They are low calorie as well as being free from grain, cereal and gluten. As baked treats the bones can easily be broken down into smaller pieces and used for training, or can be fed whole as a substantial treat. Available in Daily Dental, Sensitive Salmon & Calming Crunchie. 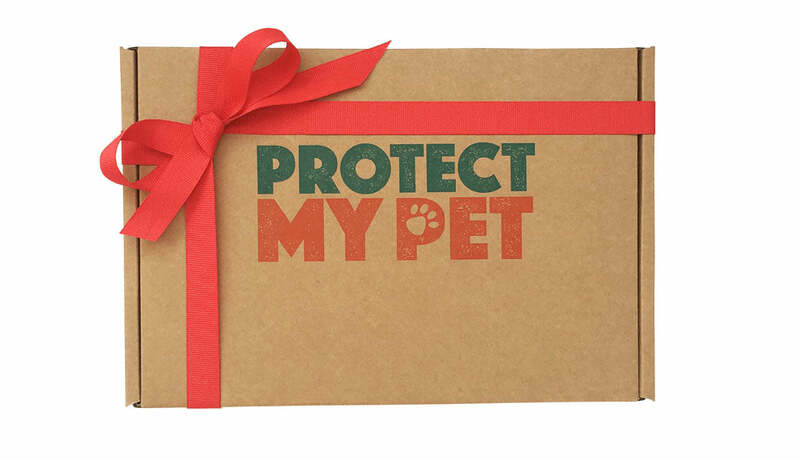 Protect My Pet offers complimentary seasonal gifts to subscribers who select our Pet Subscription Box Plus. We like to introduce our pet owners to new and exciting brands, so seasonal gifts may include tasty treats, useful accessories, or additional pet health care items (such as natural shampoo or dental products).